THE WELSH RUGBY Union have issued an emphatic warning to players within its borders after banning two SWALEC Division one players for use of performance enhancing drugs. 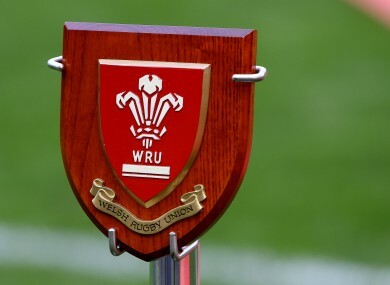 The two men, named by the WRU as Owen Morgan and Greg Roberts, played at the amateur level second tier of Welsh rugby and have been handed respective four and two-year bans from all sport. Merthyr clubman Morgan is banned after a positive test for an anabolic steroid and a stimulant. Roberts, who played for Glynneath, picked up his 24 month ban for use of tamoxifen, a drug that inhibits estrogen. “There is no room in the (World Anti-Doping) code for carelessness or not knowing,” says WRU chief executive Martyn Phillips. “Players are encouraged to check the prohibited lists, found via the WRU website which include over-the-shelf medication and supplements. “These bans serve as a strong warning to everyone in the game that non-compliance with anti-doping rules carries grave consequences. Email “'There is no room for not knowing': WRU issue strong warning after handing out two PED bans”. Feedback on “'There is no room for not knowing': WRU issue strong warning after handing out two PED bans”.